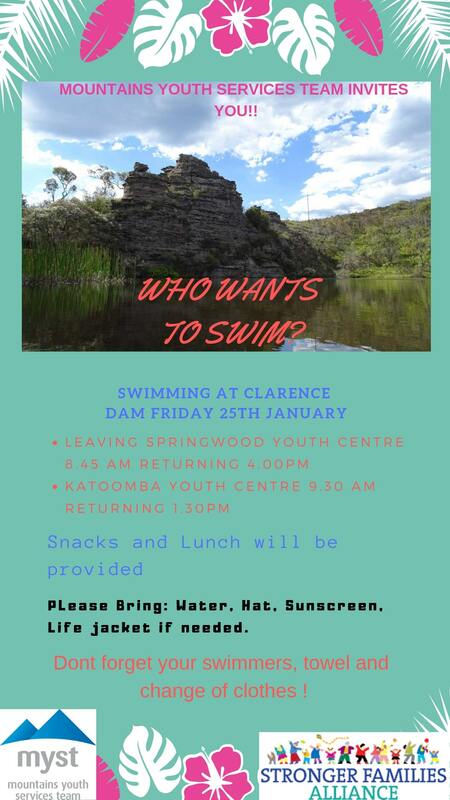 Join us for a swim at Clarence Dam on 25th January. We are leaving from Springwood Youth Centre at 8.45am and returning 4pm. Bring water, swimmers, towel, hat and sunscreen. Lunch and snacks provided.